Escape the well-trodden main safari circuit of Northern Tanzania and explore the Yaeda Valley, to the southwest of the Ngorongoro Crater. 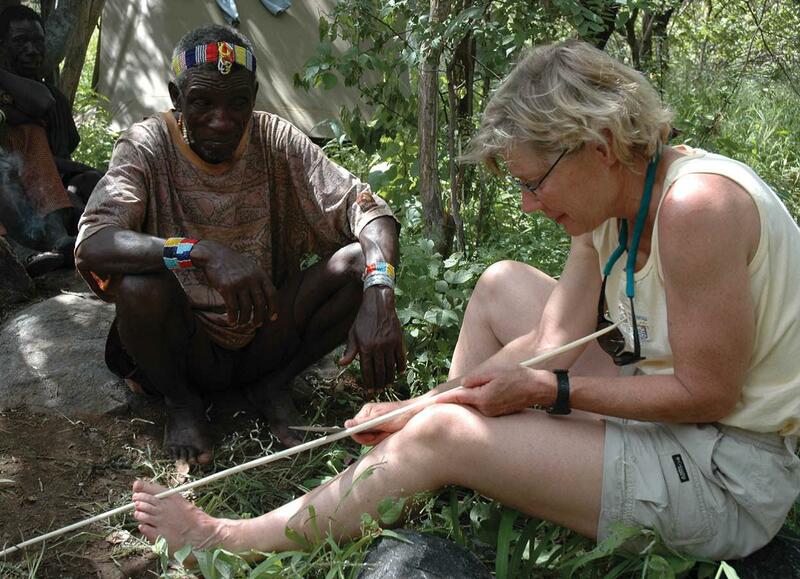 The area is home to the Hadzabe, who are traditional hunter-gatherer people. You will be accompanied by an expert guide who has a longstanding relationship with the group; this short trip offers a unique chance to learn and witness first-hand how the Hadza live off the land. 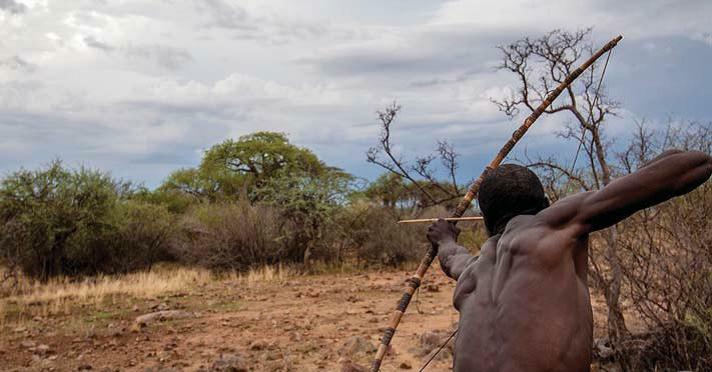 Their bush skills are something that has been long forgotten across much of Africa, and time spent with the Hadza offers a very raw and authentic cultural experience. AGE LIMIT: There is no age limit for this itinerary, but the schedule can be adapted based on children’s ages and level of intrepidness – your guide will discuss this with you on Day 1. You will be picked up from Manyara Airstrip or Karatu by your guide and 4×4 vehicle and driven through the Ngorongoro highlands and down into the Lake Eyasi basin, characterised by open grasslands, rocky ridges, and hundreds…………. An early start for breakfast before departing with a Hadza hunter and your guide. Hunting excursions are often a mix of honey gathering and eating berries, but also opportunistic if a monkey or mammal is seen. 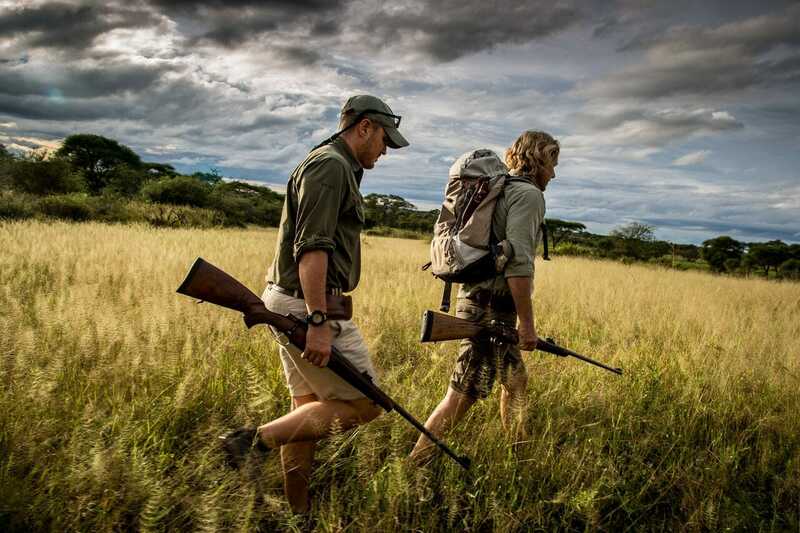 The hunting is typically a mix of……..
Breakfast at the fl y camp and depart by 4×4 with your guide back to Karatu or Manyara airstrip where your adventure concludes. Private fl y camp and guided activities with the Hadzabe, all relevant concession and bed night fees, all meals from dinner on Day 1 to breakfast on Day 3, house drinks (soft drinks, beers, house wine, local spirits), private 4×4 transfers starting and ending at either Karatu or Manyara airstrip, Asilia conservation charge, and Medevac cover. The Safari begins and ends in Manyara airstrip or Karatu, Tanzania.